Posted on December 10, 2013 at 6:19 pm. While I don’t watch it every year, watching “It’s a Wonderful Life” is certainly part of our families’ holiday tradition. The years we do sit down to view it I have to admit I invariably start crying at some point and, to be completely honest, probably start sobbing at several moments in the movie. Why? Well, first of all I’m a big mush and it’s not that difficult for me to be touched by emotional situations (yes, I shed a tear or two when Nelson Mandala died recently, for example). The second reason is I think the longer I live the more this movie resonates with me and I can see myself in the title role of George Bailey. Don’t feel sorry for me, it’s not like I was saddled to my desk here unwillingly, but I can relate to the idea of being the underdog to much larger competitors and economic forces. Somehow we’ve managed to keep not only the doors open for thirty years through all kinds of booms and busts but we’ve done it while providing consistently great customer service. We really do care about our client’s experience and we also care about our employees. That’s why we still have paid vacations, holidays, sick days and health insurance for those that want to take advantage of it. There have been many times when it would have been easy to give these benefits away but we have not because we believe our crew and staff deserve them, and that has not always been the case for our competitors. So we want to wish everyone the happiest of holidays, and thank all of our current and past clients and employees for working with us. Providing a great service and a great place to work is what motivates Pat and I as owners and we look forward to our thirty first year in business. Posted on November 27, 2013 at 6:18 pm. I can’t think of a more perfect holiday than Thanksgiving. First of all, we always take the full four days off and everyone here loves the down time. We work hard Monday through Friday each week so having a three day week and four days off is a great gift. Then there is the holiday itself. We gather around with the ones we love, be it family or friends or both, and it’s a great time to reach out and invite others in that might be without immediate family or a place to go for the holiday. We open our doors to others less fortunate. Aside from the wonderful food and good cheer the whole day is focused on giving thanks and that should never be overlooked as we run out to the store for last minute items or sit in traffic trying to get to wherever our final destination is for the day. I’m sure I’m not alone in spending too much time focusing on what is wrong with my life or what could go wrong if I’m not vigilant to prevent them from happening. But these last few years I have been spending more time on what is right with my life and all the bounty I enjoy living here in Sonoma county and the Bay Area in general. By focusing on all I have to be grateful for I can’t help but notice how much calmer I am, more content I am, and how more abundance seems to grow out of my attention to all the positive factors in my life. So I want to say “thank you” to all our clients and wish anyone and everyone who might be reading this a very Happy Thanksgiving. Posted on November 14, 2013 at 6:16 pm. I awoke Monday morning with a jolt, the parade! I knew it was Veteran’s Day because we were open and working and that I had a few appointments that day but I had forgotten about the parade. I love the Veteran’s Day parade and we are fortunate to have our office two blocks away from the start and a half block away from the finish so I can stand by our front door and watch not only all the participants stream by but also all the viewers, especially the families who flock to our little town each year to give thanks to our Veterans. The best part is not the glorification of war but the celebrating of the warriors, the brave men and women who serve and protect us, day in and day out, or have in the past. Petaluma has the largest Veteran’s Day parade in Northern California and I’m proud that we do. The parade takes a little over an hour and during that time they have helicopters and various military planes fly overhead and of course there are the Veterans themselves. They look great in their uniforms, particularly the older participants that probably only wear them but once a year any longer. How can you not want to stand and cheer for them and their service, their sacrifice? When we do it is so clear that they appreciate it very much and they deserve it. Well, I’m happy to report that I was able to finish my morning appointments in time to return to the office just as the parade was about to begin. Bridget, our incredible Office Manager, informed me that the phones were very quiet so I gave her the rest of the day off so she could go to the parade with her boyfriend Jerry whose father is a Veteran of the Korean War and in the parade. After she left I stood in the doorway, half listening for the phone but mostly watching and waving and clapping as the Vets filed past, happy that they were celebrated and recognized for their service. I can hardly wait for next year’s parade. Posted on November 9, 2012 at 6:15 pm. Save Energy Company, located on Petaluma Blvd. South, is a family owned and operated business that specializes in replacement windows and doors. This includes pet doors and side-way screens. 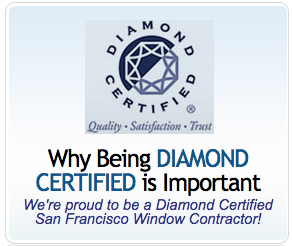 It has been serving the Bay Area since 1983 and has earned recognition from the Better Business Bureau and received the Diamond Certified Award . Its showroom displays products from manufacturers such as Marvin and Milgard.